Despite that behind the window Katie Storm arrived with pretty impressive hail, I am still mega positive about spring! It’s Easter! I had last minute panic, as I have been so busy and didn’t do any DIY neither, decorated my home so I have last night run Homesense as I knew this store won’t fail me! I wasn’t any wrong! 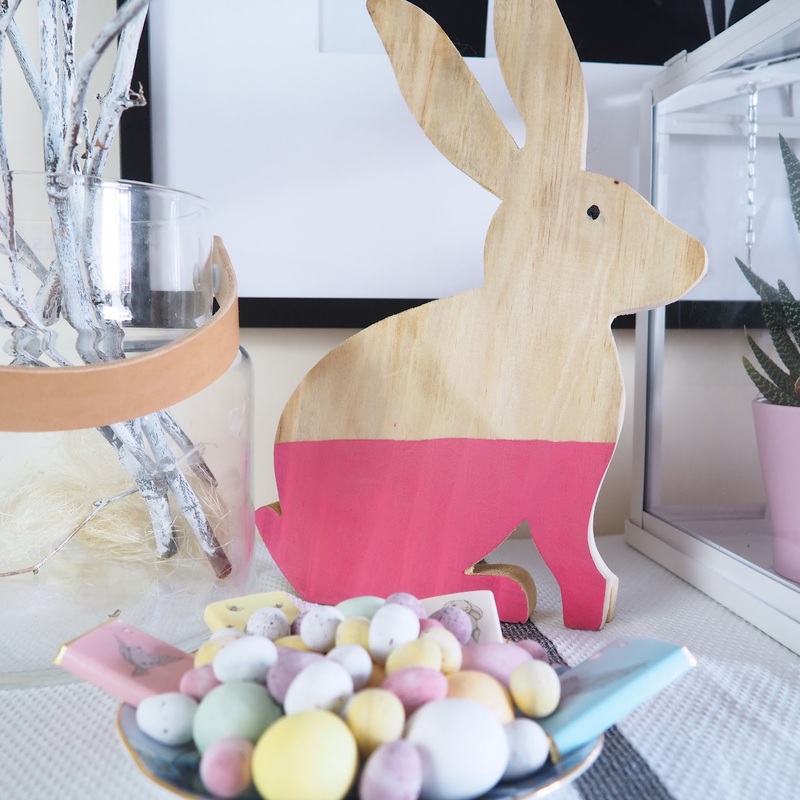 I found beautiful shelves of Easter decor and chocolate eggs! 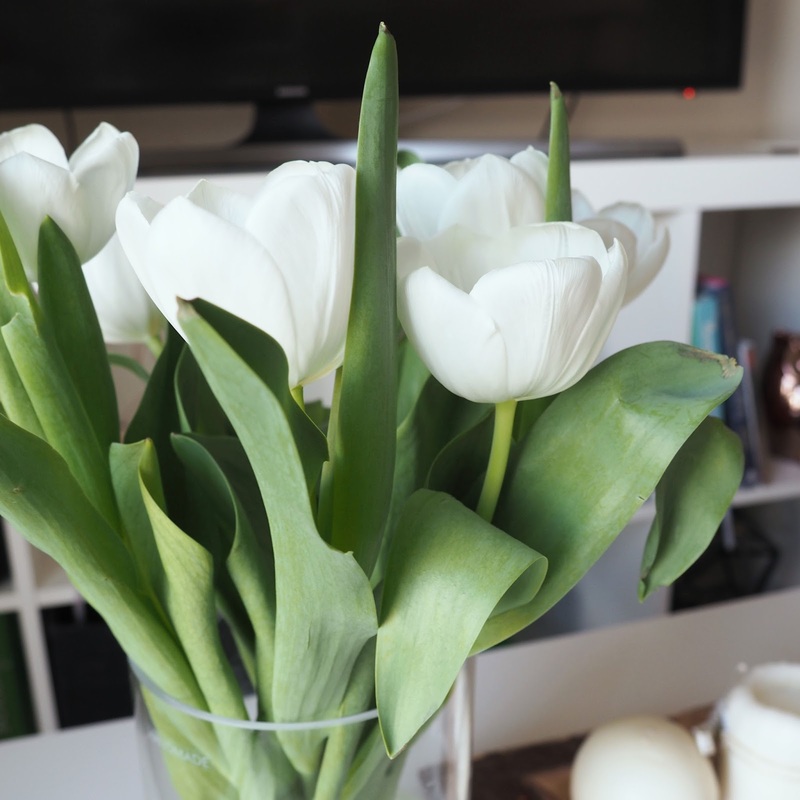 Now, a little bit of my decor. 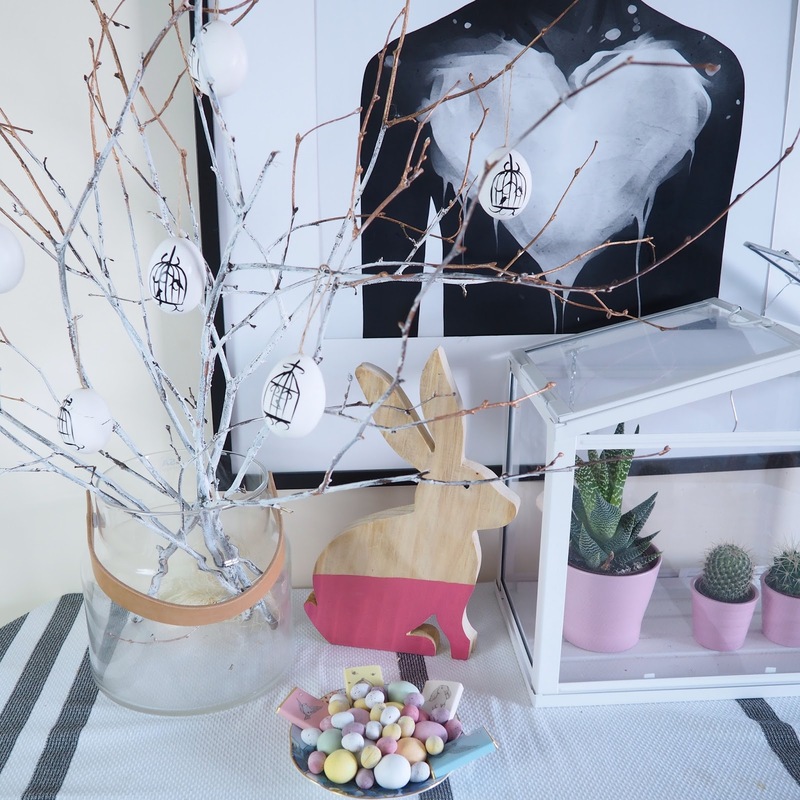 I already had my twigs painted since Christmas, so decided to re-use them for easter! 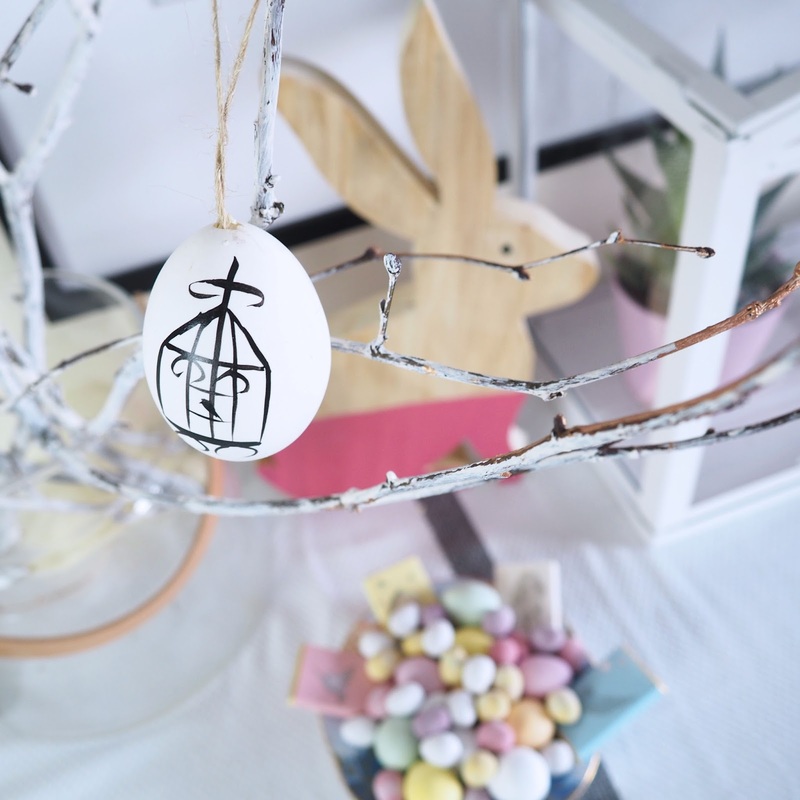 You can read here about my Rustic tree twigs DIY post. 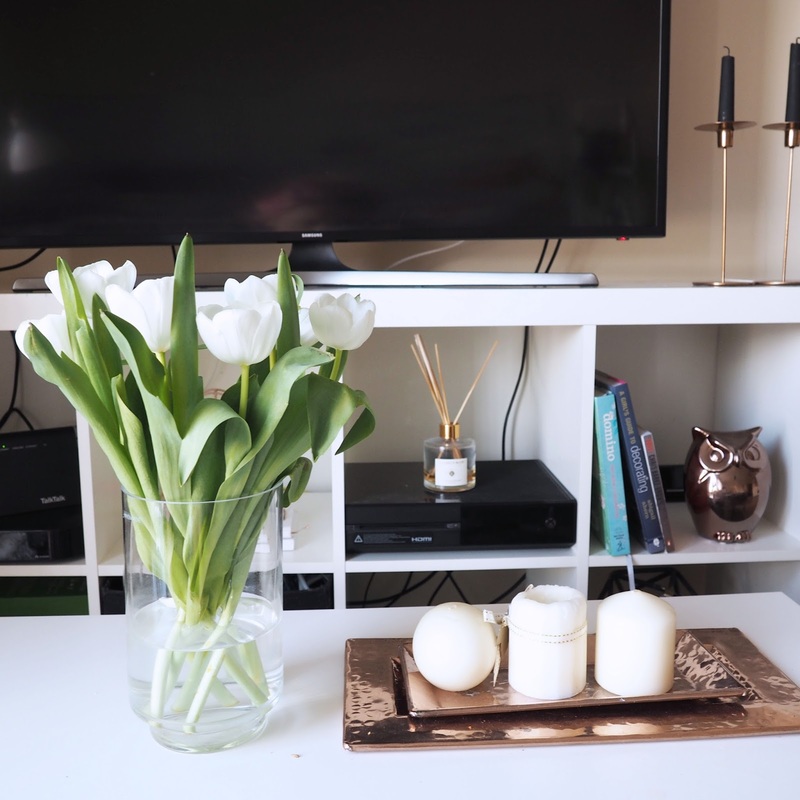 As I already mentioned, Homesense rescued me with simple and affordable decor pieces. 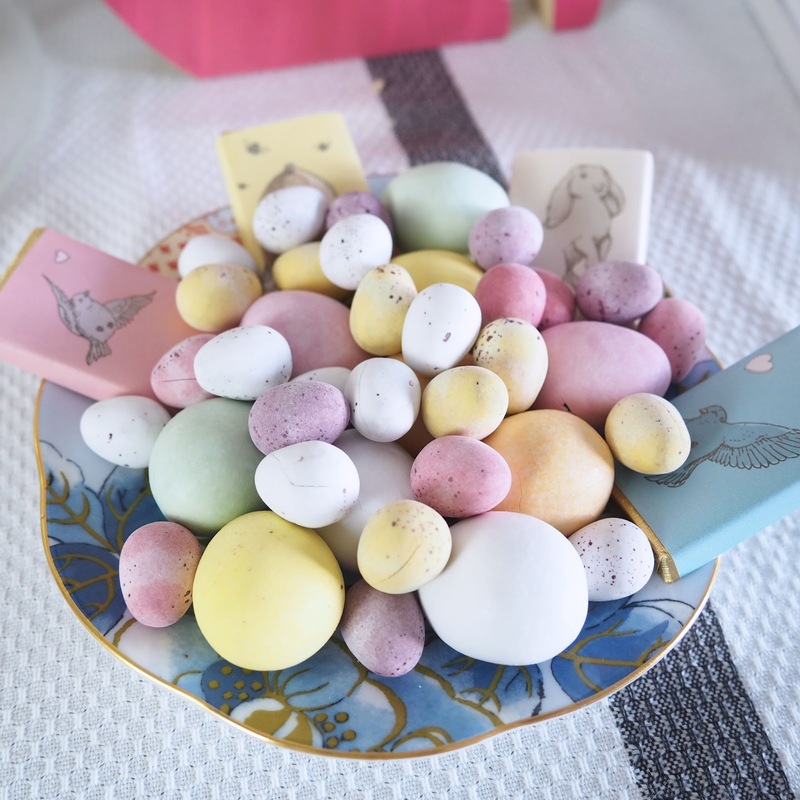 I picked this cute but simple white eggs shells (these are real eggs shells !) that look like just a permanent marker paint! Perhaps, I could do this myself, but considering a price of £2.49 which is an actually price of a pack of 6 eggs this comes up much cheaper than doing your own DIY as you don’t need to buy a pen, neither string! Next, I picked this cute wooden bunny with dip dye accent for like £6.99??! Bargain! I have also grabbed a pack of real partridge eggs for £3.99 each but silly I placed them on a bottom of my shopping bag and guess the result! I was totally devastated! Rest was all stock on chocolate eggs of course! Omg so cute I love it. 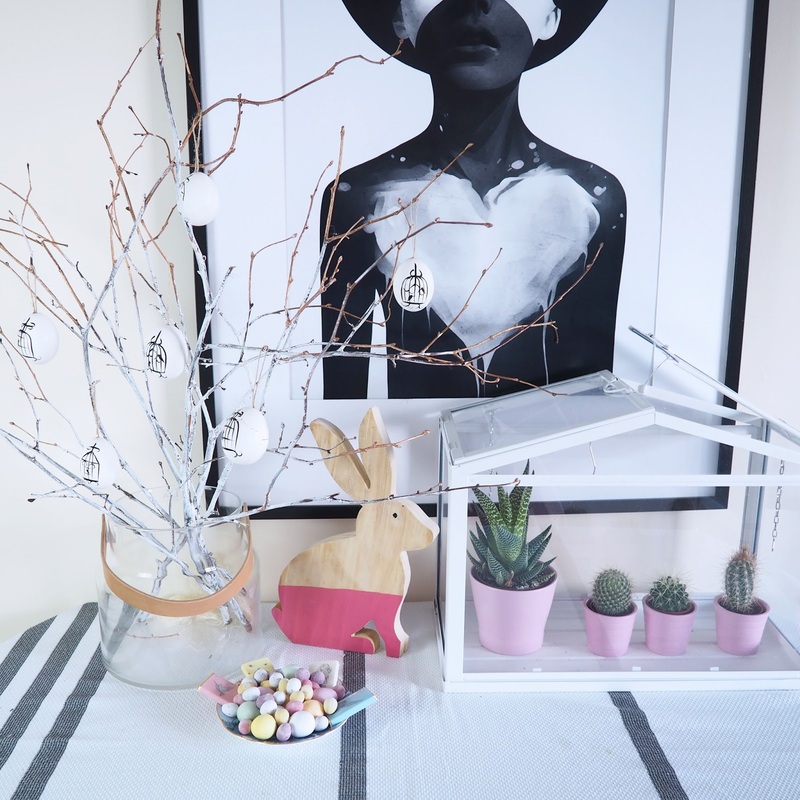 I don't tend to decorate for Easter in the same way as Christmas, but maybe its time I started! 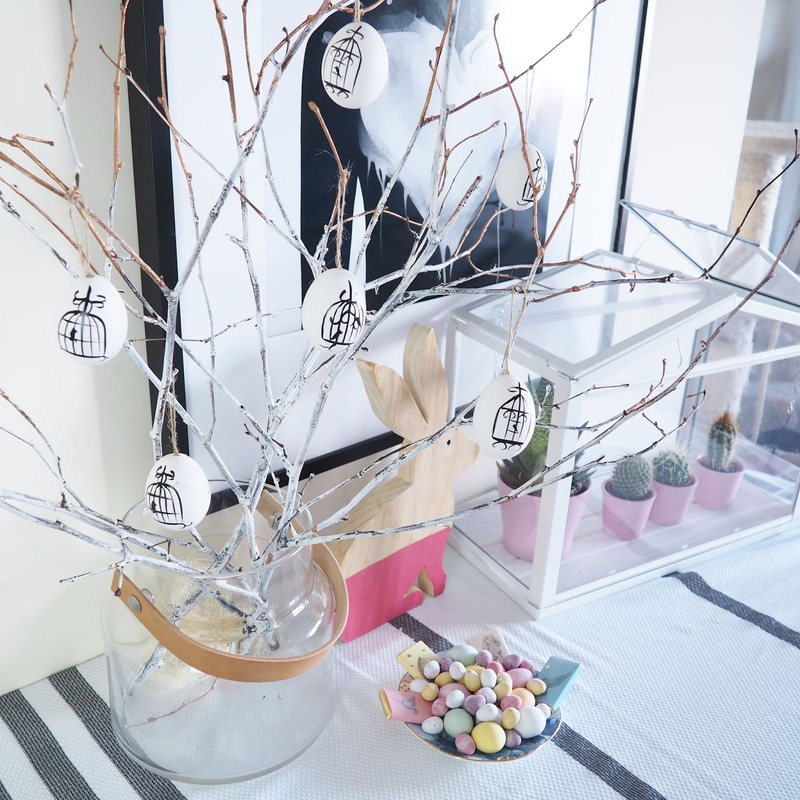 I LOVE how you reused the rustic twigs from Christmas. You've managed to make them feel much more 'spingy'! 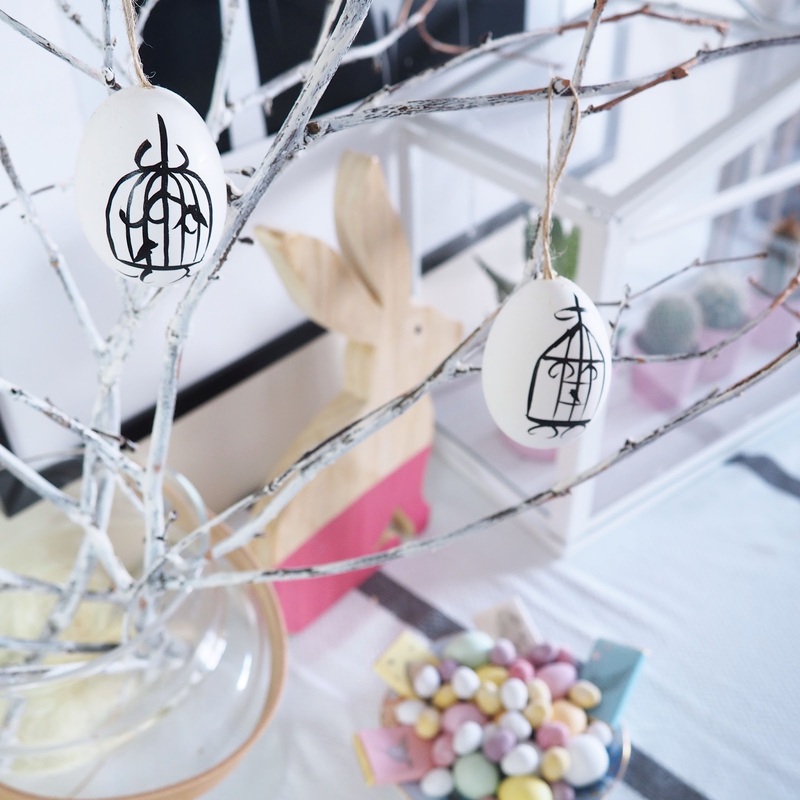 I LOVEEEEE the painted twigs! I'll definitely be giving that a go as I love using natural and rustic wood within interiors. I've currently got a tree stump in my bedroom in place of a foot stall to reach my higher clothing rail!